Home Are my windows and doors secure? This October is National Home Security Month Gary Warby, Managing Director at Premier Windows & Door explains why you home may not be as secure as you think? This October is National Home Security Month. The campaign aims to raise awareness of the things that we can all do as homeowners to improve the security of our properties from installing cameras and security lighting to replacing locks and windows. Windows and doors play a critical part in home security and the window industry has collectively invested millions in a never ending battle to outwit burglars. The challenge is that in common with the automotive industry, the systems we used just a few years ago, although cutting edge at their time, can be vulnerable to new techniques which, if nothing else, a very determined criminal fraternity are now using to commit crime. So what should you look out for and what are the tell-tale signs that a home security upgrade is well overdue? Are your windows or doors in a good state of repair? This is the starting point. Poorly maintained windows and doors are obvious week points in the security of your home. If locks don’t work, if wooden windows are rotten or warped, they’re by definition, more vulnerable and more tempting to burglars. Are your PVC-U windows externally glazed? This should set alarm bells ringing. When PVC-U windows first came out they were often externally glazed. It made installation and glass replacement easier, mainly because it means the double-glazed unit was easier to take out. The trouble is, it’s just as easy for burglars to do the same. If you have old externally glazed PVC-U windows, your home isn’t secure – even if they do have locks! Do your windows have multi-point locking? New PVC-U windows feature multi-point locking systems. These use multiple shoot-bolts to anchor the opening sash to the window frame, making them almost impossible to force. If you don’t have locks, or have cockspur handles, your home is going to be vulnerable. Are your patio doors more than 20 years old? The great thing about aluminum and PVC-U windows and doors unlike timber is that they still look great after years of service with only minimal maintenance. The downside is that this can lead you into a false sense of security about their performance. Older patio doors a prime example. They were manufactured with an inherent weakness – the sliding sashes in many cases can be lifted out of the frame from the outside! If you have them, replace them now. Do you have older PVC-U or timber doors? We promise, we’re not just ‘knocking’ older products but so many of them seem to have featured underlying weaknesses. All that stands between a burglar and entry to your home in a timber door is often a good kick because without multi-point locking, the force of the impact goes into just one or two points in the frame. Older PVC-U panel doors may use multi-point locking but they also have an inherent vulnerability. Give the main panel a good kick and you can be through it in seconds! Do you have a Eurocylinder lock on your entrance doors? Eurocylinders serve as an illustration of how product technology moves on. They were heralded as a security innovation when they first hit the streets but very soon a number of failings appeared. This includes snapping’. The lock can be grabbed where it protrudes from the handle with mole grips or a similar tool and then hit with hammer to snap the lock in two. Eurocylinders are such a security risk that we have actually listed the twice! This time the method is altogether more sinister. Burglars can break into your house leaving no sign of damage using a widely available skeleton key, originally designed for locksmiths. This allows them to gently knock the pins that hold the locking mechanism in the locked position out of place, allowing them to freely open the door. And because it leaves no obvious signs of forced entry, there have even been cases where insurance companies won’t pay up! The Door and Hardware Federation estimates that of the 45million entrance doors in the UK, Eurocylinders are fitted in more than 70 per cent.! And we would be lying if we said we hadn’t fitted them. 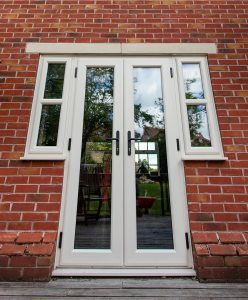 Premier Windows & Doors like everyone else in the industry supplied them because they were at that point, the most secure and highly accredited solution available. If you do have a Eurocylinder lock we would suggest is it might just be worth upgrading your lock to an anti-snap cylinder Premier Windows & Doors or a locksmith can do this for you with very little disruption. You should look for PAS 3621 or TS 007 Kitemarks, which are designed to resist attack. Alternatively you may want to just opt for new Energy efficient windows and doors. These can make your home more secure while cutting by up to 75%. Premier Windows & Doors offers a wide choice of high security windows and doors as standard. This includes energy saving triple-glazed windows with U-values as low as 0.8W/m².K. Where security is a major area of concern, this core specification can also be enhanced to meet all requirements set out under the police approved security enhanced Secured by Design standard. According to figures from National Home Security Month there’s a 25% spike in home burglaries during the autumn and winter , leaving homeowners with an average repair bill of £700-£3000 and £2,300 in property losses – that puts you well along the road to new windows and doors! For more information, please don’t hesitate to email me enquiries@premwindowsanddoors.co.uk or or call a member of our team on 01296 422 842.